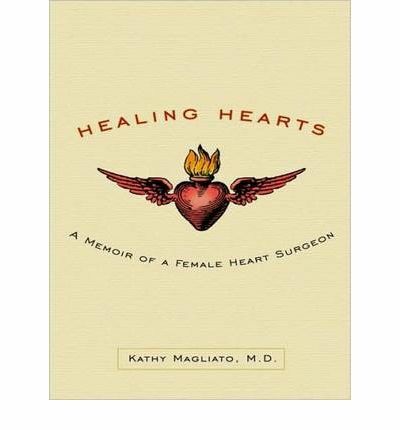 About the Author: Kathy E. Magliato, M.D., is currently the director of women's cardiac services at Saint John's Health Center in Santa Monica, California, and an attending cardiothoracic surgeon at Torrance Memorial Medical Center in Torrance, California, where she is developing a women's heart center to address the cardiac needs of female patients. She lives in Pacific Palisades with her husband and their two children. Renee Raudman is a multi-award-winning audiobook narrator. She has earned a number of AudioFile Earphones Awards, including for The Last Secret by Mary McGarry Morris and Wesley the Owl by Stacey O'Brien, as well as a Publishers Weekly Listen-Up Award for Joe Schreiber's Chasing the Dead. She has also performed on film, TV, radio, and stage, including the recurring roles of Jordon on ABC's One Life To Live, Phyllis on NBC's Passions, and guest-starring roles on prime-time TV. She has been heard in cartoons (The Simpsons, Billy & Mandy), videogames, and on the E! channel. Her narration of Homer's Odyssey by Gwen Cooper was selected by Library Journal as one of the best audiobooks of 2009, and her reading of Marthe Jocelyn's Would You was selected by the ALA as one of the best young adult audiobooks of 2009. Note: the formatting of this mp3 audiobook is mp3-cd. This indicates it will only run on computers with CD-ROM or DVD drives or CD players that are equipped to play mp3-cds. It can alternatively be replicated from a pc workstation to an mp3 player like an iphone ipad sony rockbox ipod sandisk or similar player.